WordPress 3.9 is finally here! With changes to the image, audio & video galleries, widget & theme previews, and image editing, it truly is closing the gap between your vision and your content. WordPress has finally implemented some over-due changes to the visual editor. They’ve revamped formatted-text pasting, allowed for image drag & drop, added video & audio galleries, and let you resize images right in the editor! In an effort to save users from constantly refreshing pages to see how themes and widgets appear live, WordPress has updated the Theme Preview tool to allow users to add widgets and see them appear. No more guessing if your contact widget would look better on top of your recent posts! Finding that perfect free WordPress Theme has just gotten easier! With a revamped Theme Browser, you can sort and preview themes much more easily. As usual, we highly recommend backing up your website before installing new versions of WordPress. 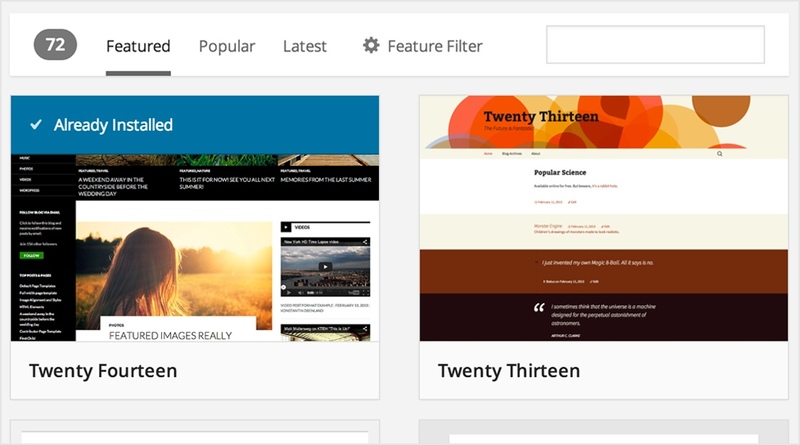 All our themes are compatible with the latest version, and we’re quite excited to use these new WordPress 3.9 features. What’s your favorite feature of WordPress 3.9? 3 Responses to "WordPress 3.9 Features – Better Media, Playlists, and Experience"
I’ve been trying to get hold of someone but no luck. I purchased a theme which I want to use in muse but there is no files – it’s just a code file. This is not what I was expecting. What’s the work around, if there is none i would like a refund as this isn’t what i wanted. Please post any issues in our support forum. Your theme should appear in your Gabfire Dashboard. Hi. Very good, thank you so much.